What have the Romans ever done for us?! Well, they showed us by example that it is time to invent a larger unit when your daily affairs involve things vastly larger than your largest unit of measure. 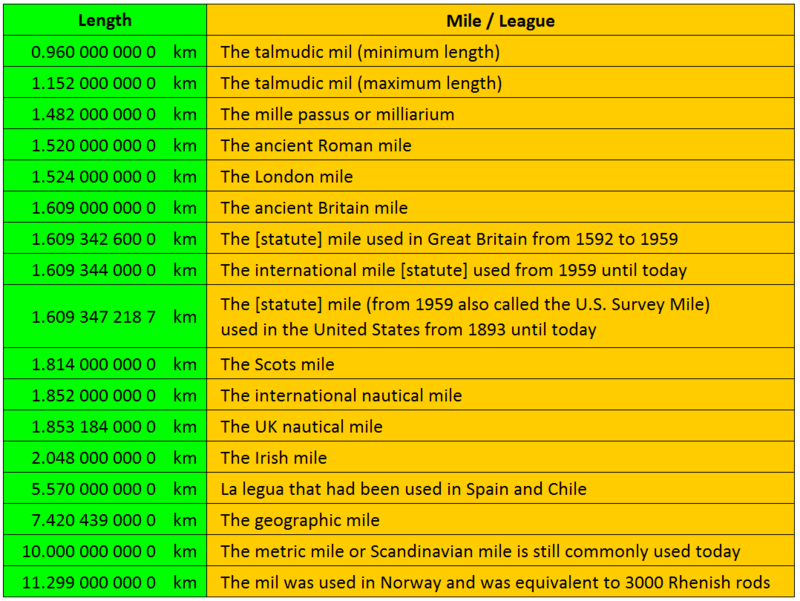 Since daily affairs were limited to measuring nothing larger than land distances, I suspect that people living in Roman times had no need of a unit of measure greater than a mile (or whatever unit people used in other parts of the world). But how are we expected to get a real sense of scale when someone gives astronomical distances in so and so many gazillion miles? Why would anyone pick such a relatively short unit like a mile when measuring something on such a vastly different scale? It would be akin to using inches to measure the distance from Milano to Minsk or using a fraction of a mile to measure the width of a human hair. We can now measure things vastly smaller than an inch and vastly longer than a mile, so it is only natural that people create appropriate units for appropriate uses. The dekameter and hectometer and kilometer and megameter and gigameter and terameter (larger than a meter) and the decimeter and centimeter and millimeter and micrometer and nanometer and picometer (smaller than a meter) were all in use by 1951 and redefined in 1960 when the metric system became the International System. But the terameter is only useful for measuring outer planetary orbits and the picometer is only useful for measuring atoms. Science is ready for even larger and even smaller units. In 1964, the femtometer and attometer allow us to appropriately measure subatomic particles and quarks without having to use ridiculously small fractions of a much larger unit. In 1975, the petameter and exameter allow us to appropriately measure interstellar distances and put a nebula into perspective without having to add a whole bunch of zeros to a much smaller unit. In 1991, the zeptometer and yoctometer allow us to appropriately measure neutrinos and the zettameter and yottameter allow us to appropriately measure on a galactic and intergalactic scale. Most Earthlings have already come to realize that we must rid our lives of quaint measures that may have served us well in quaint times, but have become quite obsolete in modern times. Social evolution has brought nearly every nation on Earth to realize that having incompatible measurement systems is counter-productive. Just as the Romans created the mile unit equal to five thousand Roman feet, so too have people in modern times created the yottameter unit to mete out our universe. The observable universe is estimated to be about 880 Ym in diameter. Join us on Facebook for discussions on ways to kill the inch: https://www.facebook.com/groups/KilltheInch or work toward metric-only labeling in the United States: https://www.facebook.com/groups/AmericansforMetricOnlyLabeling and visit MetricPioneer.com for metric resources. USA – Metrication: One person at a time. Start with yourself right now!